On Sept. 21, 2014, the MAVEN spacecraft will complete roughly 10 months of travel and enter orbit around the Red Planet. This milestone will mark the culmination of 11 years of concept and development for MAVEN, setting the stage for the mission’s science phase, which will investigate ‪#‎Mars‬ as no other mission has. 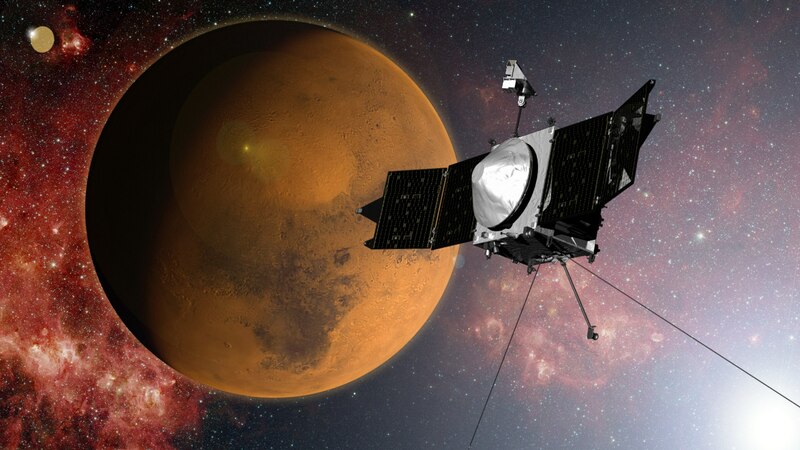 “We’re the first mission devoted to observing the upper atmosphere of Mars and how it interacts with the sun and the solar wind,” said Bruce Jakosky, principal investigator for ‪#‎MAVEN‬ at the University of Colorado Boulder.